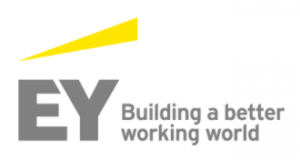 This past April, EY, a global professional services firm, made an eye-catching announcement about expanding parental leave and surrogacy benefits for its US employees. EY’s new policy grants 16 weeks of paid parental leave for both men and women welcoming a child through birth, adoption or foster care. We sat down with Ellen Williams, an Assistant Director in the Americas Diversity and Inclusiveness Center of Excellence at EY to learn more about their new policy and the advantages to being a leave leader. Williams has been with EY for 24 years and has been heavily involved in the company’s flexible working efforts which supports and benefits everyone and also helps to build their female leadership pipeline and retain talented women. She’s proud of the work EY has done to create a company culture that provides opportunities for women and men and cares about helping both succeed personally and professionally. “It’s been great to really be part of this from the beginning of the journey,” says Williams. On the day the policy was announced, Williams says her team received hundreds of emails from delighted EY employees, both moms, dads, and even non-parents. Williams says that, historically, most men at EY take advantage of parental leave, but they rarely use the total entitlement. She hopes this new equitable policy will help shift the culture so all parents take all their leave. Williams believes having both genders using leave benefits helps level the playing field between moms and dads, an idea that recent research findings support. Williams says also keeping your efforts “extremely focused on the men will help to effect the cultural change” and end up benefiting women more than just a bump in paid maternity leave. If moms are the only ones taking parental leave, it reinforces gender stereotypes and can undo all the effort companies put into growing their female leadership pipeline. Culturally, many men see themselves as responsible for the economic well-being of their families, so generous paid leave for dads helps remove economic barriers to taking time off to provide care and bond. And generation Y dads are expecting and wanting to play a significant role in their family. There are other positive ripple effects of dads taking time off, such as reduced feelings of work-life conflict, increased earning power for their female partners, more equitable sharing of caregiving duties, and even improved health and wellness for their children.